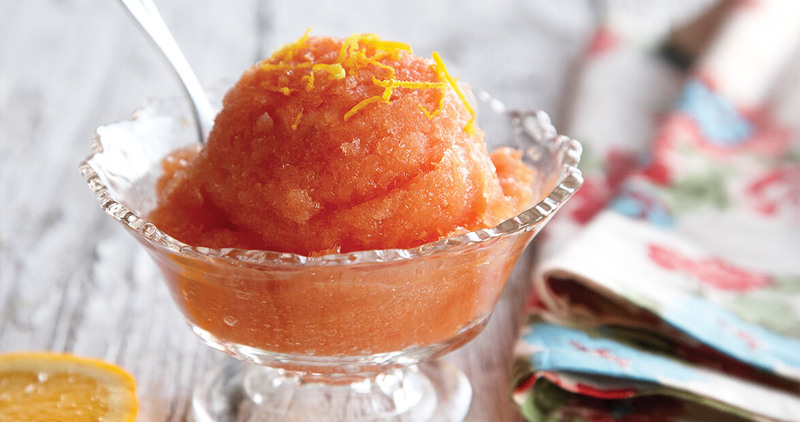 Orange juice gives this light summer dessert a bright flavor. Yield: About a dozen ½-cup servings. Put melon and juice concentrate into a blender and pulse until pureed and well-blended. Taste and add sugar or honey if needed. Pour puree into a covered container and freeze 6 to 8 hours or overnight. Garnish with orange zest. Variation: For a sparkling sorbet, after pureeing, put mixture into a container and stir in 2 cups of soda water or sparkling wine. Freeze as noted.